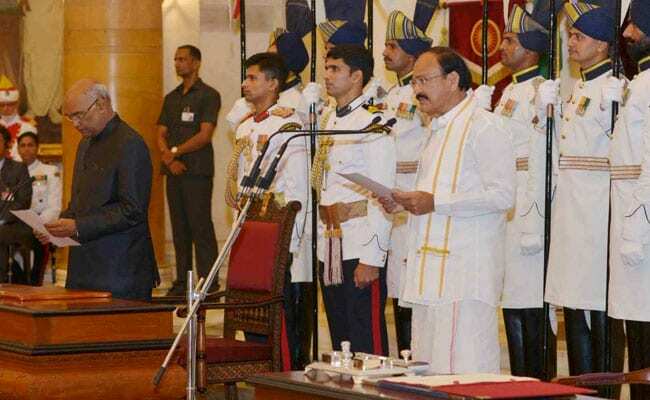 New Delhi: M Venkaiah Naidu, 68, who was elected as India's 13th Vice President on August 5 takes oath. Venkaiah Naidu had defeated former West Bengal Governor and Mahatma Gandhi's grandson Gopalkrishna Gandhi, the opposition candidate. 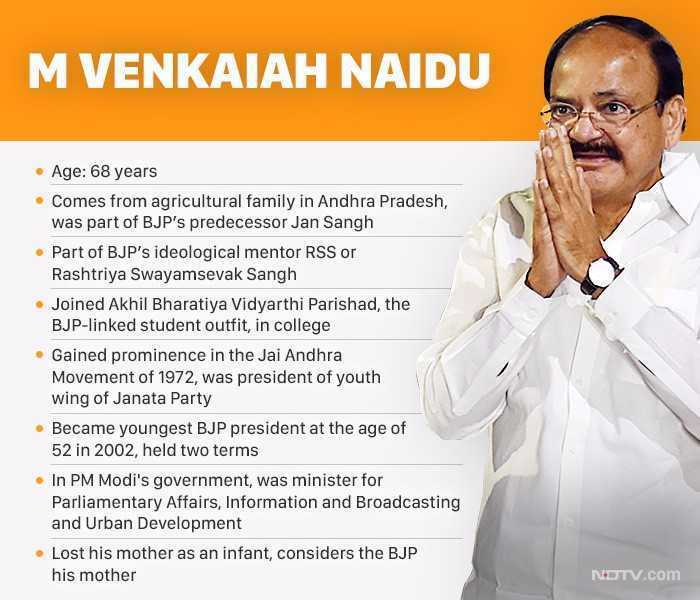 Mr Naidu is a two-time Union minister and four-time Rajya Sabha member. Before he was NDA's Vice Presidential candidate he held the portfolios of Parliamentary Affairs, Information and Broadcasting and Urban Development. On winning the vice-presidential poll Mr Naidu said, "India stands for: Integrated National Development Impacting All Indians, equally well. This is the mission for India." 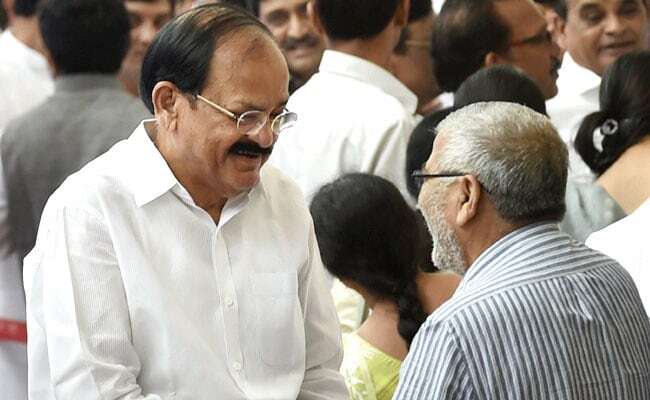 Venkaiah Naidu will succeed Hamid Ansari who finished his decade-long tenure as Vice President and Rajya Sabha Chairman yesterday. 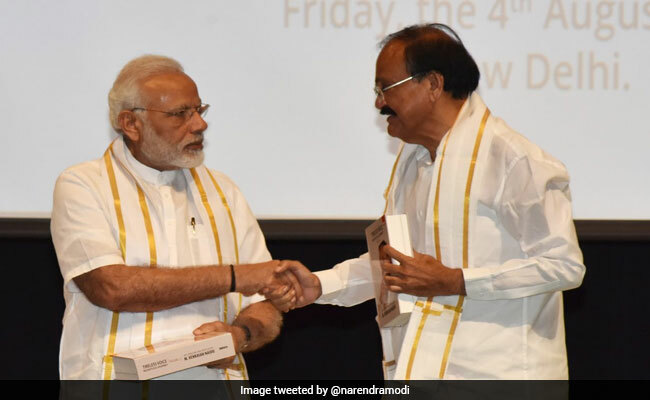 Welcoming M Venkaiah Naidu, India's new Vice President as the Chairman of the Rajya Sabha, Prime Minister Narendra Modi this morning noted that "people from a humble, rural background today occupy the highest positions in India." Congratulations to @MVenkaiahNaidu for being sworn in as the Vice President of India. 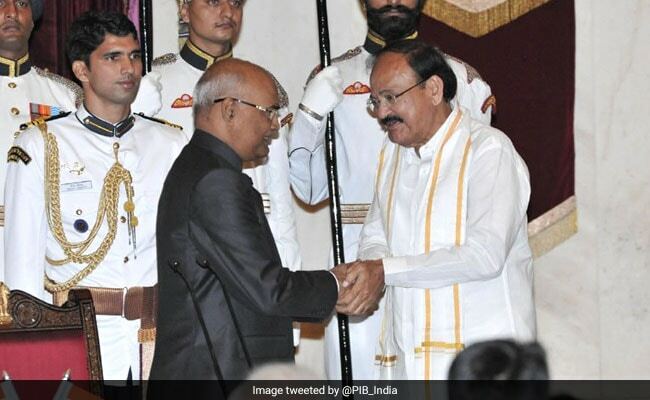 President Ram Nath Kovind greets Venkaiah Naidu. 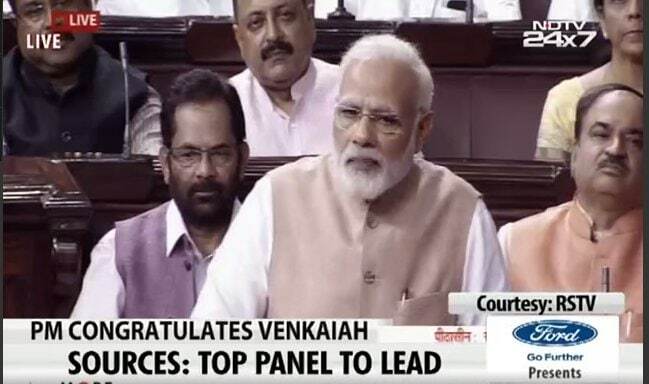 "It has been my privilege to work with Venkaiah ji... he has an eye for detail and would look into the minutest things from the rural sector to the urban one," Prime Minister Narendra Modi said in Rajya Sabha. 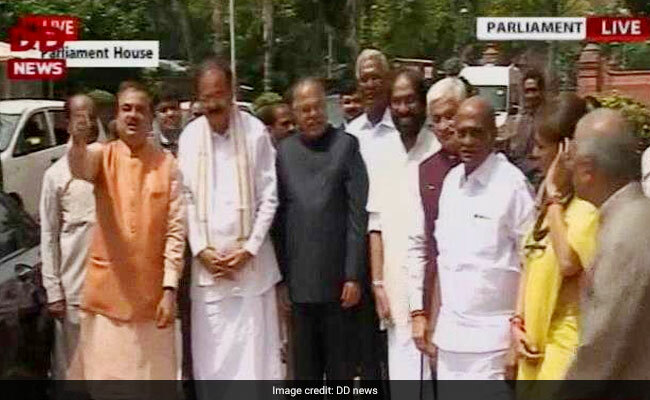 Venkaiah Naidu was welcomed in the Paliament House earlier. 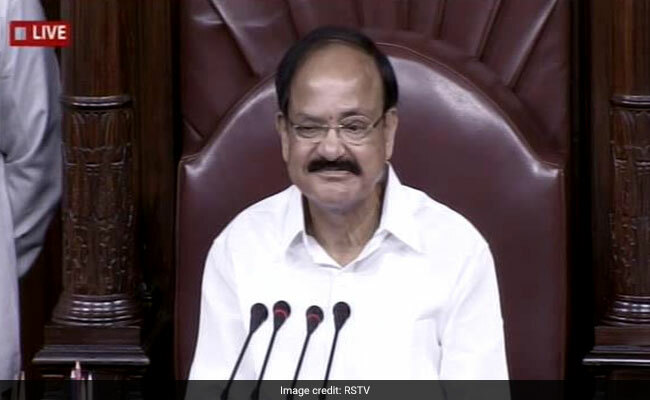 Venkaiah Naidu at the Rajya Sabha as the chair for the first time. 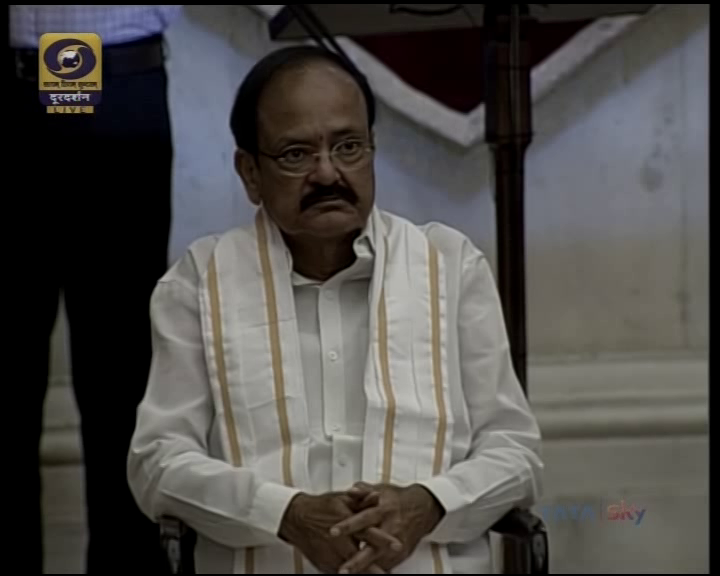 Venkaiah Naidu takes oath as the Vice President of India. Venkaiah Naidu to take oath shorty. Prime Minister Narendra Modi arrives at Rashtrapati Bhawan ahead of the swearing in ceremony. 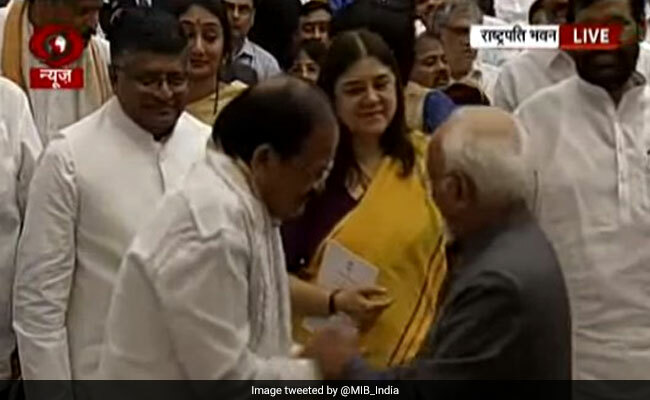 Venkaiah Naidu reaches Rashtrapati Bhawan's darbar hall. Will take oath as Vice President soon. Manmohan Singh, L K Advani, Rajnath Singh, Lok Sabha speaker Sumitra Mahajan among other dignitaries present for the swearing in. M Venkaiah Naidu's election as the next Vice President was a foregone conclusion well before the first vote was cast on August 5. 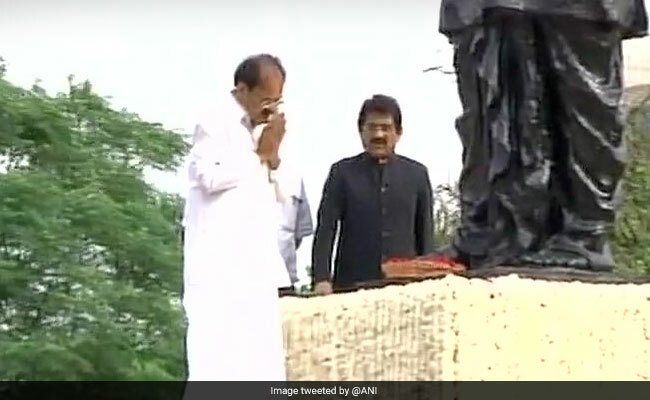 Venkaiah Naidu paid tribute to Deen Dayal Upadhaya at DDU Park earlier in the day. Vice President will take oath at 10.10 am. Venkaiah Naidu will take oath this morning as India's 13th Vice President. Nominated by the ruling BJP-led National Democratic Alliance, he won the Vice Presidential election last week. The swearing-in ceremony will take place in the Durbar Hall of Rashtrapati Bhawan at 10 am." 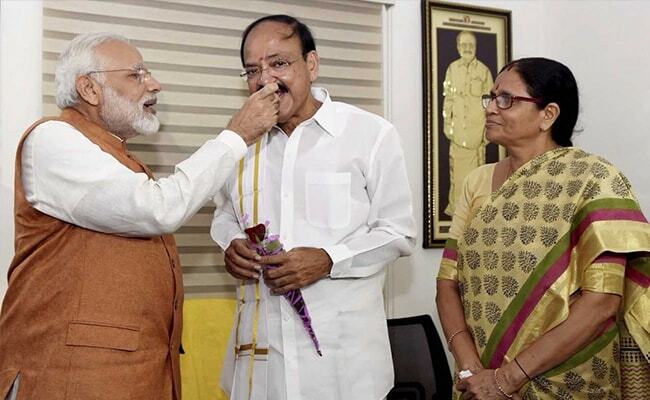 Mr Naidu would make later an entry into the house at 11 am for the first time after taking oath as the Vice President. After taking oath as the Vice President, Venkaiah Naidu will be welcomed by the parliamentary affairs minister, Ananth Kumar. Venkaiah Naidu will be sworn in as the Vice President today. Before the swearing in that will take place at the Rashtrapati Bhawan at 10 am, Mr Naidu will visit the Gandhi Samadhi followed by DDU Marg to pay respects to Deen Dayal Upadhyaya and to Sardar Patel.